Garden Road School (later Yorke Road School c1900) opened for mixed learning in 1875. It became increasingly overcrowded and to alleviate this problem a separate school for boys aged seven years plus was built close by, in the Watford Road. Mr. Alfred Walter Stratton-Hanes, a twenty-nine-year old teacher, became the first head teacher of the school in October 1894. 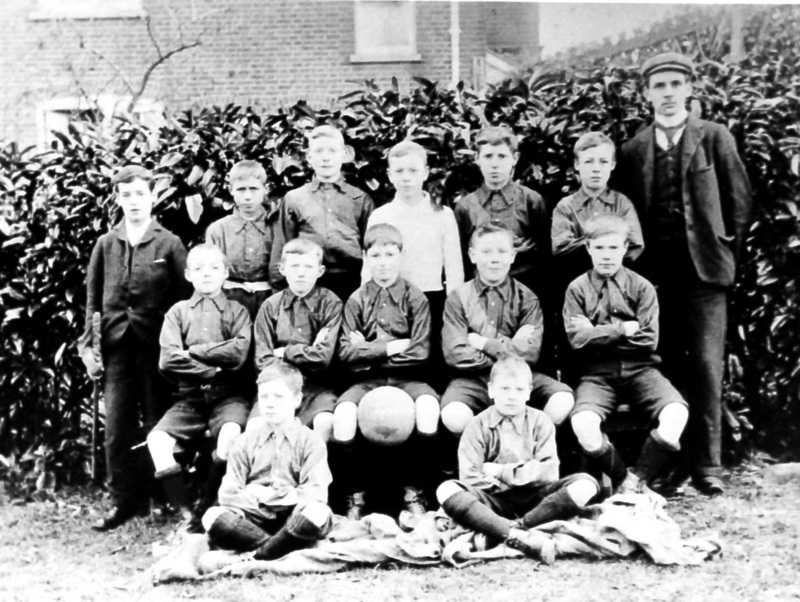 Taught by lady teachers up to this time, the boys under this young enthusiastic headmaster were given the opportunity to train and pursue a sport that they could normally only achieve by 'kicking a ball about' in their spare time. The boys found suitable grassed areas in the village big enough so they could set themselves up into teams and play for fun. Many older residents were aware that a popular area just off The Green and Copthorne Road was used for football games and a 'local' team called themselves 'The North End Boys'. This football pitch was eventually relinquished and reclaimed by an owner of Copthorne House who required it for a small practise golf course, on land now known as Copthorne Close. Mr. Hanes was to lay the basic foundations for this new sporting activity. However, he resigned as headmaster on the 28th June 1901. The following week, on the 1st July, Mr. Henry T. Wilson, former Headmaster of St John’s School, West Hendon, took up the headship. He was to influence much of Croxley Green’s future. To many he became known and eventually fondly remembered as ‘Neggy Wilson’. During the early years of Neggy's headship it became necessary to have the football goal posts replaced. An arrangement was made with Walkers boat yard in Rickmansworth, a family run business that built narrow boats for the canal. At this time these narrow boats were used intensively for transporting goods and commodities up and down the waterways. Whenever new goal posts were required a group of boys would be sent to fetch them from the yard. On one such outing a particular group of young boys found them to be rather heavy to carry especially as they had to walk up Scots Hill to Croxley Green. They decided to tie the posts together and float them on the canal to the lock at Croxley Common Moor. This clever idea meant there was but a short walk along the Watford Road to the school! 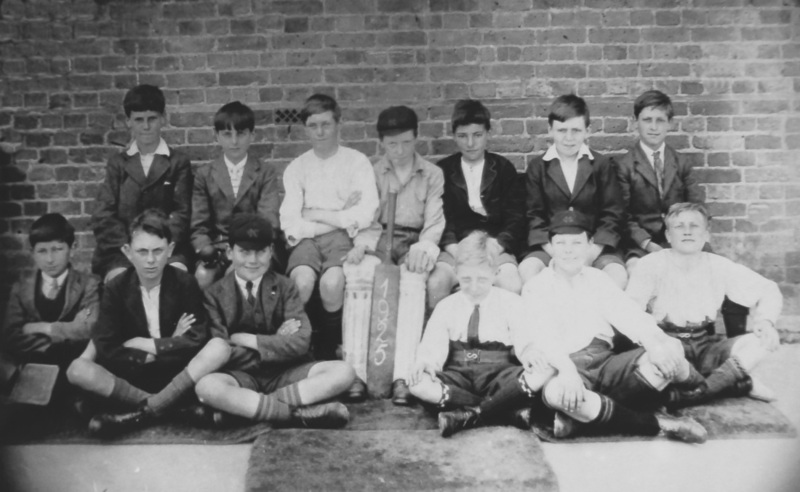 As well as introducing the boys to swimming, Neggy encouraged the playing of cricket, with the intention of forming a school cricket team. Gonville and Caius College, Cambridge, who owned The Green at that time, were contacted. They gave permission for the use of The Green as a cricket field. A suitable site was identified and a rough cricket ‘square’ was marked out. Gradually this area was improved and eventually formed a playable ‘square’. Weather permitting, the boys were regularly tasked with treating the grass. Much rolling and mowing was inevitably required. As punishment for misbehaviour in class, boys were often sent after school to remove weeds by hand using their penknives. (This area is reputed to be in the vicinity of the main arena currently used for the yearly Revels on The Green). John Dickinson's mill provided a suitable roller, for use on the cricket square which required constant maintenance to keep the site at its best for both the batsmen and the bowler. The use of this roller cost the school one shilling annually. For many years it was usefully employed and could be seen on the far side of The Green close by the hedge and the big house, Little Gillions. When cricket was no longer played on The Green it remained there for many years. It has since been removed - is it located elsewhere? Consecutive owners of Little Gillions were known to have been helpful by housing the nets and the mowing machines. They also loaned tools, and on warm days provided drinking water for the boys. It became an annual event to have a match arranged with Chipperfield school in July. After attending school in the morning, the team would walk to Chipperfield during the afternoon. They carried with them a tin bath which contained their tea-time sandwiches for a picnic on Chipperfield Common after the match! One older boy remembered that at one time the Croxley Green school team not only had a good bowler but two very good batsmen. The boys often walked all the way to Chipperfield and never got the opportunity to bat or bowl! Croxley Green is fortunate to have several water features such as the River Chess and the River Gade as well as the canal nearby. Children delighted in playing in the River Gade particularly once it had passed through the mill. The water was culverted for use through the paper mill and was well known to be much warmer when it reappeared the other side. Having two locks on the canal stretch near Common Moor and Lott Mead could pose a safety problem when filling and unfilling them for the narrow boats to pass from one height to another. Boys would often play in this area, jumping off the bridges. It was therefore a welcome opportunity for parents when an outdoor swimming pool opened in Ebury Way, Rickmansworth. This allowed children to learn to swim in a safer environment and teams were soon entered into local competitions. Any boys not involved with swimming lessons were asked to lend a hand with mowing the cricket field! It soon became evident that something more constructive was required when the older boys left school. This was to be for youths 14-18yrs old. 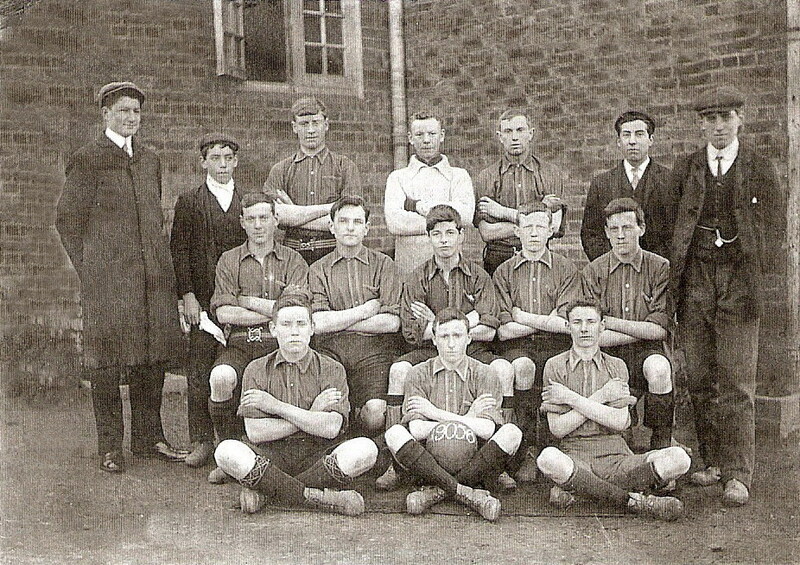 In 1904 local teams were formed to play against each other, the Vicar becoming the first president, and the headquarters was set up in the boys’ school. Many players were also members of the Church Lads Brigade. 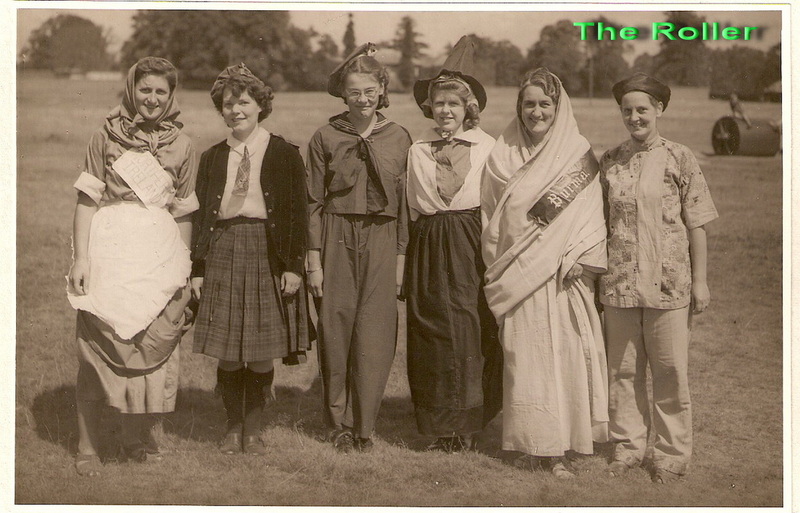 They played various local clubs in Watford, Boxmoor, Rickmansworth and Bushey. 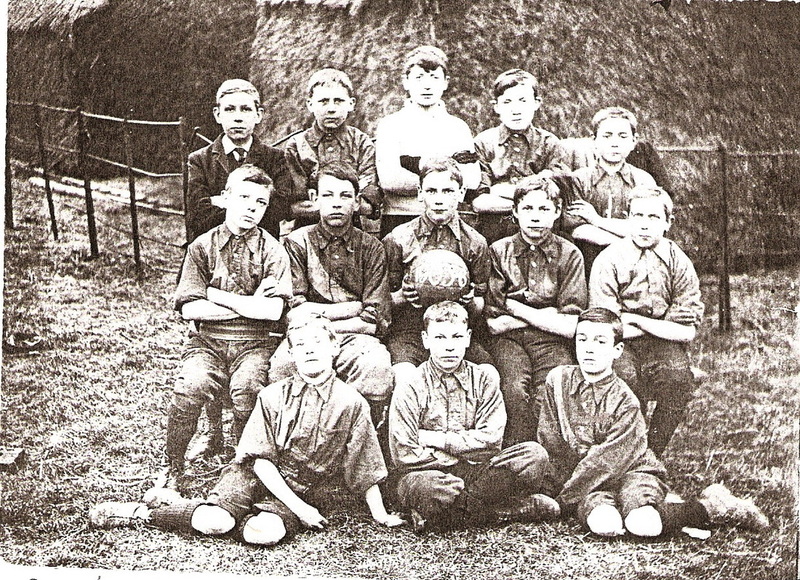 Before many of the houses were built in Dickinson Avenue this ground was used for recreational purposes and Yorke Road School for the dressing rooms. A small meadow behind the boys’ school that had been used for school activities and sports became unavailable in 1913 as it was required for further house building to extend Dickinson Avenue. Thereafter, school football and other sports were held on the John Dickinson sports field. At this time it was located opposite the Red House public house on land leased by the company. When plans were agreed to construct the Metropolitan railway extension from Moor Park to Watford Park station in the 1920s this land was acquired. John Dickinson then bought land called 'Ollings' off The Green and this was for many years called the Dickinson's Sports Ground. In more recent years the name has changed to the Guild of Sports. 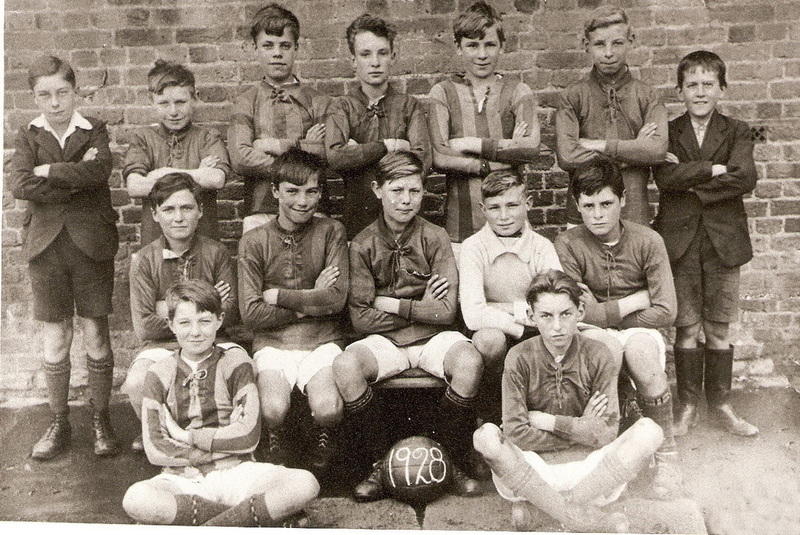 The boys continued to make the best use of the local facilities and these were to continue until the school closed in 1939 when Harvey Road School and Durrants School opened in the same year. 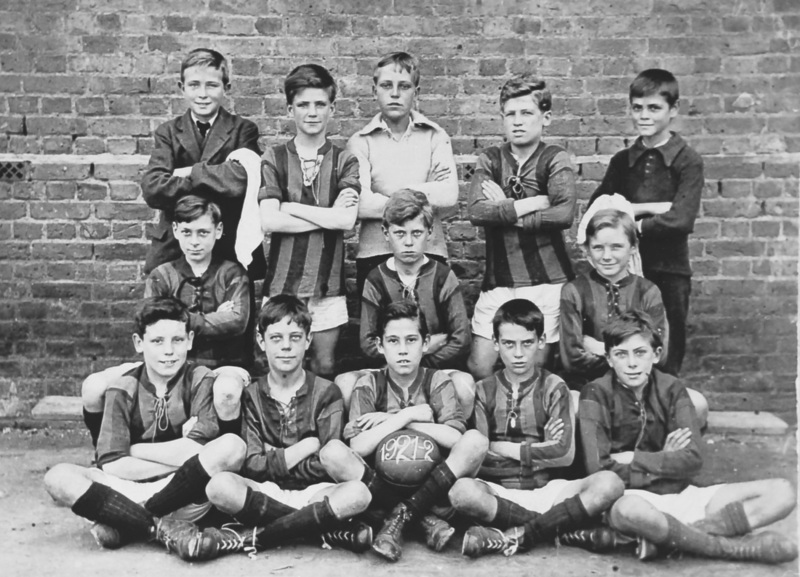 Juniors, aged seven to eleven, were transferred to Harvey Road and the seniors, eleven plus, to Durrants.